CycleSimplex has been making trike and bike racks for over 20 years. We make a lighter and less expensive rack than our competitors without skimping on quality. During that time we have become very good at what we do. Our quality and strength is attested to by the fact that we recommend our racks for use on RV's and Motor Coaches...something other do not. There also is a Roll-Across Assembly option. 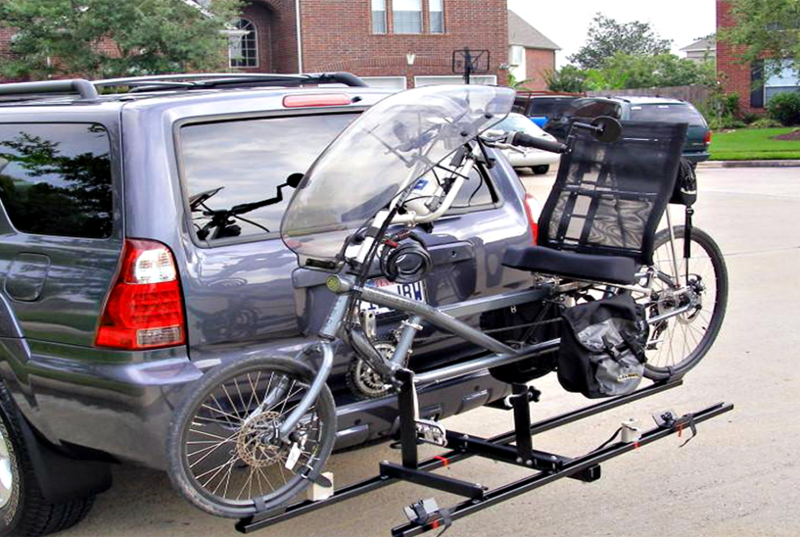 This option allows you to load the trike onto our rack without having to pick up the whole trike at one time.